In your advanced DIY project, you will need to measure pressure, temperature, sound, force etc. 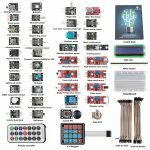 For measuring these values, arduino community has created different types of sensors kit that can enhance your arduino project. Basically, a sensor is used for detection of any events or changes. Though all sensors have different methods to detect an event. IR sensor is the most useful sensor module among all sensors. Finding the right sensor for the project is a little bit difficult and also required research. 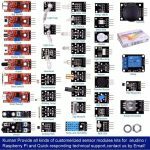 Check out the list of sensors kit for your beloved arduino listed below. 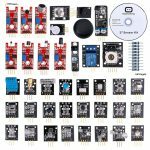 Elegoo Sensor Module Kit is the most popular kit for arduino. It comes with a small little gift which includes resistor bag. Elegoo arduino sensors is a complete set of all common and useful electronics components. It includes 37 different types of sensor modules with one listing paper. This sensors module kit is compatible with all arduino boards like Arduino UNO, Arduino Nano, Arduino Mega etc. 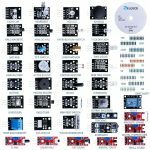 SunFounder sensors kit also comes up with 37 sensor modules and it will help you to learn the basic knowledge of arduino sensors. Best feature apart from other kits is a manual. The manual contains a list of 35 projects, programming code, circuit diagram images, breadboard images and a sensor datasheet. SunFounder has a fast technical support and it’s free. You can also download all datasheets and programming codes from official SunFounder website. It is easy for arduino fancier to use arduino sensor module kit. 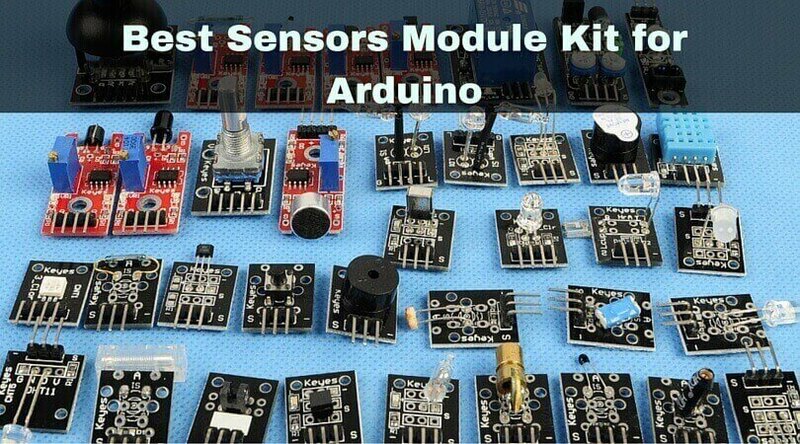 A professional Kuman sensor module kit is compatible with all arduino boards. It has complete and updated sensor modules for arduino UNO, Nano and mega 2560 boards. You can use this kit for single board computers too. Mainly It has the standard interface that can be inputted directly via a microcontroller. Kuman is a factory which makes all electronics components interfaced with arduino and raspberry pi. It comes with the detailed tutorial book which includes projects as well as source code. RobotLinking sensors kit is especially used for arduino mega2560, mega328, UNO. RobotLinking kit is a great arduino sensor pack for small arduino experiments or the larger projects. It is very similar to Elegoo Sensor Module Kit. It includes 37 arduino sensor modules, 1 listing paper, plastic box container and instruction book. It is very funny and easy to use. All sensor modules come within a box in a very organized manner. If you finding best arduino sensor module kit, then Osoyoo is the perfect kit for hobbyist person. Modules which included in this kit are selected and tested carefully. 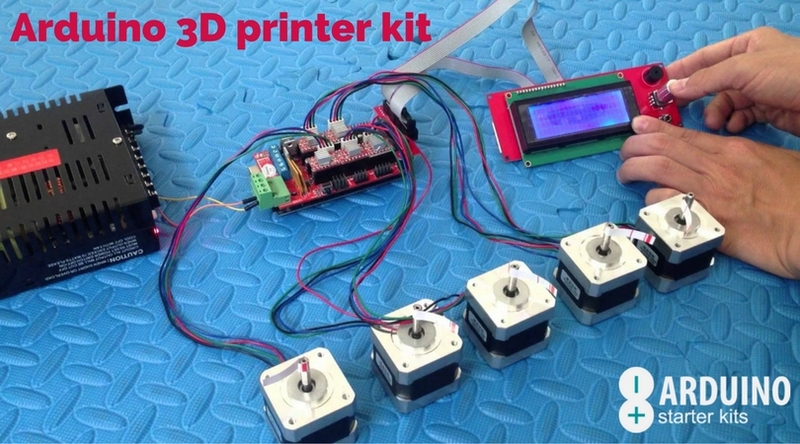 This kit helps starters to learn an interfacing of all sensors with arduino. The instruction book includes a project description, graph, a simple implemented code and a library package. These sensors module kits are very simple, cheap. 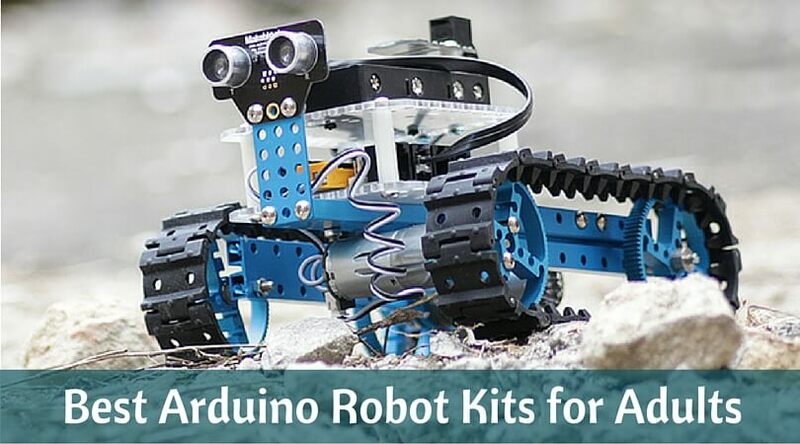 Mostly Arduino sensors are used for controlling robot. Are you thinking to buy 37-in 1 sensors module kit? Hurry up and buy arduino sensor module kit for your new innovative arduino DIY project. 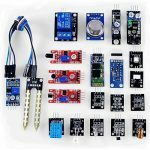 If you want to add the sensors kit in this list, then let me know.